than ever. 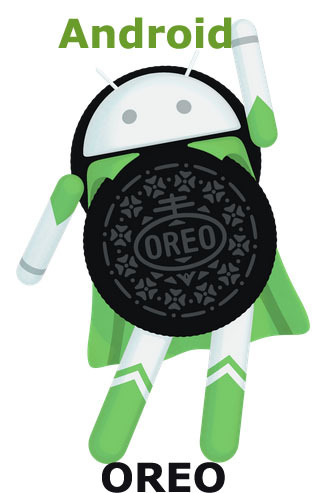 Android 8.0 or Android Oreo brings you new ways to develop more efficiently. Android Oreo gives you many new ways to extend your app and develop more efficiently. Here the list of new style and specification of Android 8.0. A notification is a message you display to the user outside of your app’s normal UI. When you tell the system to issue a notification, it first appears as an icon in the notification area. To see the details of the notification, the user opens the notification drawer. Both the notification area and the notification drawer are system-controlled areas that the user can view at any time. Android 8.0 (API level 26) allows you to instruct a TextView to let the text size expand or contract automatically to fill its layout based on the TextView’s characteristics and boundaries. This setting makes it easier to optimize the text size on different screens with dynamic content. Static shortcuts should provide links to generic actions within your app, and these actions should remain consistent over the lifetime of your app’s current version. Good candidates for static shortcuts include viewing sent messages, setting an alarm, and displaying a user’s exercise activity for the day. This page describes how to use these APIs to work with WebView objects more effectively, improving your app’s stability and security. Audio apps share the audio output on a device by requesting and abandoning audio focus. An app handles changes in focus by starting or stopping playback, or ducking its volume. Android 8.0 (API level 26) introduces functionality for displaying notification badges on app icons in supported launchers. Notification badges show notifications associated with one or more notification channels in an app, which the user has not yet dismissed or acted on. Users can turn off badges for notification channels or apps from the Settings app. Notification badges are also known as notification dots). Users can save time filling out forms by using autofill in their devices. Android makes filling forms, such as account and credit card forms, easier with the introduction of the Autofill Framework. The Autofill Framework manages the communication between the app and an autofill service. A ColorSpace is used to identify a specific organization of colors. Each color space is characterized by a color model that defines how a color value is represented (for instance the RGB color model defines a color value as a triplet of numbers).
. While it is recommended to use values in the valid range, a color space always clamps input and output values when performing operations such as converting to a different color space.